Remote Patient Monitoring – is a service that gives the clinician the ability to monitor and measure patient health data and information from home. This monitoring includes use of both video and non-video technologies. The application of these technologies allows for increased access to health services, improved disease management, improved self-care management and earlier and proactive interventions for positive outcomes. The decisions of which technology to use are driven by the patient’s clinical need and the objectives and resources of the organization. 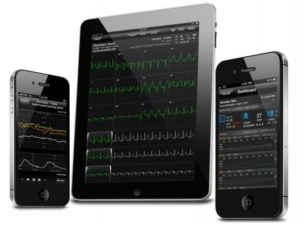 Technologies utilized include: video, messaging, and remote monitoring which may include some or all of the following sensors- ECG, pulse oximetry, vital signs, weight, and glucose. Remote patient monitoring technologies can support post-discharge, home health, chronic care management, skilled nursing facilities, sub-acute care and senior living facilities. Home telehealth & remote monitoring technologies can provide education, monitoring, patient self-directed care and the ability for individuals to have more effective access to health care. These applications extend the vision of the clinician to facilitate quicker assessment and proactive intervention for many populations living with chronic and acute healthcare problems to improve quality of life. For those with chronic conditions, patient-centered health information management systems and the robust (and ever-growing) ecosystem of health tools and services that they support and enhance such as health metric tracking, disease self-care tools and personal risk assessment tools will improve a persons quality of life, while dramatically reducing the associated health care cost burden. Chronic diseases are the number one cost of hospital re-admissions. Our services provide cost reducing customized solutions for reducing hospital re-admissions while improving patient outcomes and quality of life.